Overview: Duke Leto Atreides is moved to Arrakis to oversee the production of spice and the maintenance of the local desert people, the Fremen, much to the chagrin of the Baron Harkonnen. The Baron sets out to assassinate Leto and succeeds. Paul, the Duke’s heir, and Paul’s mother escape to the desert, a treacherous place filled with sinking sandpits and carnivorous worms the size of spaceships. Renamed Muad’Dib, Paul becomes a leader of the Fremen and seeks revenge on the Baron who assassinated his father and the Emperor who gave his tacit approval. World-Building: Herbert relies heavily on desert imagery. He constructs the Fremen people around existing ideas about nomadic desert clans and Middle Eastern historical events (i.e. Byzantines). In this regard, his base is strong. The ecological theory that riddles the novel is interesting. It creates the underlying motivation for the current Fremen state. Their utter belief in their ability to change Arrakis is not only necessary to help build a sense of religious fervor, but also lends credence to Arrakis as an empire’s colony (The netted dew-catchers is an old concept that has been drawn on both in Herbert’s science fiction and in today’s scientific developments.). My only real problem with Dune’s world is Herbert’s quite obvious struggle with the concepts of genetic determinism and free will. Paul is consistently reminded that he is destined; Herbert often refers to this as Paul’s race consciousness (Note: this is not meant by Herbert in the more nuanced social scientific sense). Paul is genetically foretold and has powers that were granted to him. He has very little choice but to become the fabled Muad’Dib that the Fremen have waited so long for; every move he makes simply takes him closer to this fate. However, Paul is supposed to have choice, free will. We see this from the very beginning with Paul’s struggles with the oncoming potential for religious revolt. These two concepts are difficult to resolve and make parts of Paul’s journey frustrating because Herbert is unclear which he believes to be driving Paul. It’s a type of idealism that’s distracting in Herbert’s tale. Character Development: Paul’s character becomes very flat the moment his full powers are unlocked. Though the Bene Gesserit parts of Paul should be allowing him insight into his own emotions and those of others, Paul seems to lock them out completely. He relies far more heavily on the Mentat (purely logical, analytical) ability to think and block out emotion. I think this is to the detriment of his development. For instance, it makes his romantic relationship and its intimacy seem very unbelievable. Plot: The plot was interesting. The calculating nature of the world’s leaders is made very clear as well as the intricacies of their strategic decisions. This makes the plot easier to follow and gives it a sense of intrigue. This entry was posted in Reviews and tagged Arrakis, book reviews, Books, Dune, Frank Herbert, Harkonnen, Paul Atreides, Science Fiction. This entry was posted in Videos and tagged A Red Tale, book reviews, Books, Coffin Hill, Cormac McCarthy, Dune, Elspeth Cooper, Frank Herbert, Friday Reads, wild hunt. Overview: Stasia goes home to St. Michael after spending the last few years studying Watyrs, the water dragons that are rumored to be encroaching on Earth. St. Michael is not the way it was when Stasia is a child. Normally the Carribean island would be beautiful and warm, but now it’s cold and covered in snow. The whole world is becoming cold. On the island, Stasia is reunited with Amelie, a childhood friend, and the two start getting into mischief. Amelie convinces Stasia to let her conduct hypnotherapy in order to bring back childhood memories. Stasia then discovers that not only are the Watyrs real, but she was one of them. World-Building: I was disappointed in this book’s world construction. There were so many elements to the world that (1) were simply accepted for being there and got no explanations; and (2) were wholly unbelievable. It’s a world with dragons and magic portals, fine, but then on top of it there’s a bunch of humans accidentally killing the diamonds that make the portals work and global cooling (which is treated like something we haven’t considered possible–for reference, we thought that was a concern in the 1970s) AND shaky concepts of therapeutic hypnosis AND an approach to it that pretends there aren’t serious methodological problems. On top of all of that, Mar uses reincarnation. But I guess at this point, why not? A set of two or three of these things may be believable, but all of them together are a bit grating. There isn’t really a clear and thorough description of Surritz, the world that the Watyrs live in, despite many opportunities for it. Mar describes it as an inverted island without a clear explanation of what that means. The water is supposed to be all around –above and to the sides of people walking around, but there’s no real explanation, then, of how a human would breathe. It’s also supposed to only be accessible to specific humans, but that doesn’t really seem to hold weight–Stasia’s friends pretty much all can get access. This all being said, there are some well written descriptions of St. Michael’s. Character Development: I don’t have any real problems with the characters. Stasia was fine. Amelie at least had some overarching motivation throughout. There wasn’t really any need for Stasia to fight to gain back her memories, or any knowledge of the Watyrs. Plot: The plot lacked a lot of foreshadowing and moved too quickly from one even to the next, often without tying them together or really dwelling on events’ implications. This entry was posted in Reviews, Uncategorized and tagged A Red Tale, book reviews, Books, Fantasy, Nicola Mar, Stasia, Water Dragons, Watyrs. Coffin Hill* follows a young woman, Eve Coffin, who has returned to her home town after she leaving the Boston Police Department. She’s caught serial killers and had a successful career. Though she’s not excited to be going home, a town where children sing-song at her and call her the “Witch of Coffin Hill,” she has bigger things to focus on. Eve’s walked into the horrors of her past: teenagers have started going missing in the Forrest of Coffin Hill. Eve’s worst fears, that the teenagers are being consumed by an evil she’s unleashed, are about to be realized and she’s in for a battle. Coffin Hill features a main character who is more concerned with her own sense of self and coming to terms with her past self than she is with her romantic interest. Eve is headstrong and rushes into things, at times without thinking. This often stems from a personality where helping is more urgent than needing a guardian to keep her safe. She’s unafraid of conflict and doesn’t need someone else (namely her old friend and police chief) to help her. The artistry is fantastic. The novel utilizes overlays and multiple perspectives in creative ways. Miranda often shows multiple views of the same moment in the same panel. This may seem confusing, but the result is a multidimensional moment with a sense of movement that is often lacking. I expect that there will be lots of moments for growth as this series continues. It could use some more pauses and more explanation of how the past and present are interwoven. Overall, a 4 out of 5 and a seriously optimistic eye towards the future. Coffin Hill Vol 1 will be available May 20th. You can preorder it here. 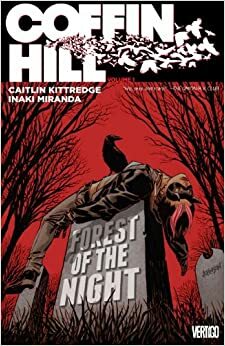 This entry was posted in Graphic Novels, Reviews and tagged book reviews, Caitlyn Kittredge, Coffin Hill, Eve Coffin, Graphic Novel Reviews, Graphic Novels, Inaki Miranda, Reviews, Vertigo Comics. Overview: Nine year old Oskar Schell’s father is dead. When Oskar finally gathers the strength to go look at his father’s belongings he finds a mysterious key hidden in an envelope in the bottom of a dusty, blue vase. Oskar wants desperately to know what the key opens, what mysteries his father may be hiding. His only clue is the word “Black” scribbled in red pen. Oskar then goes about an adventure that takes him throughout New York City. World-Building: There’s an interesting type of good will that Foer presents in his novel. While there are strangers who are confused by Oskar and bullies who are fairly unrelenting, many people are content to accept that a strange young boy who asks too many questions is asking them. Even before Oskar’s mother interferes, we can see this happening. People simply accept that he is there and that he is asking personal questions. They answer and remain relatively non-plussed. I didn’t find this to be a drawback. It was actually rather nice, but strange nonetheless. Character Development: I liked watching Oskar grow throughout his adventure. It was nice to see him start to recognize his mother as a person. As children we often take our parents for granted. It was good to see that acknowledged. It was also good to see him start to be aware of others’ feelings and needs. I thought Oskar’s voice throughout was very well done. He really rang true, asked the questions that he would ask, mourned in a fitting way, and loved in a way that seemed very true. I also really liked the direction that Oskar’s grandparent’s relationship took. I enjoyed seeing some reconciliation there. Plot: The plot was nice. It was a bit secondary to Oskar’s grief, but that was appropriate. I, admittedly, was worried about his safety. The last 70 or so pages were pretty great. This entry was posted in Reviews and tagged 9/11, Book Review, Extremely Loud and Incredibly Close, Jonathan Safran Foer, Oskar Schell, Reviews, Safran Foer. So, with the upcoming holiday, I’m heading to my parent’s home. It’s four and a half hours away on a good day and I’m not really expecting to be able to film, but here’s an update nonetheless. Songs of the Earth and Trinity Rising by Elspeth Cooper. I’m about half way through Jonathan Safran Foer’s Extremely Loud and Incredibly Close and it’s pretty great so far. I’ll probably be done reading it by the end of the weekend and will update with a full review at that point, but WOW! 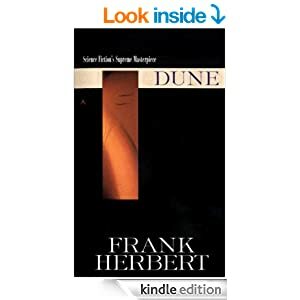 I’m about fifty pages into Dune by Frank Herbert. I’m really looking forward to dedicating some time to this bad boy. It’s not as long as some other books I’ve read this past month and a half, but it’s dense. After these two are finished, I’m hoping to read the most recent of Elspeth Cooper’s Wild Hunt quartet. I recieved these three from Worlds Without End in a giveaway and I’d like to finish it while the other two are fresh in my head. What about you? Reading anything good? 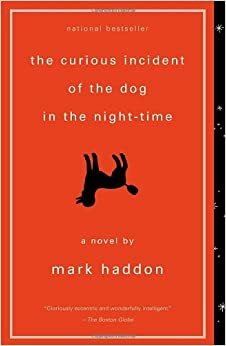 This entry was posted in Other and tagged Book Review, Books, Chris Beckett, Elspeth Cooper, Friday Reads, Jonathan Safran Foer, Mark Haddon, TBR, To Be Read.